Your dry spreader was built to your specifications. An manual came with your equipment. This book contains valuable information about operating, maintaining or repairing your equipment. In the back of your book is a Delivery & Inspection Sheet. This document is information about the components and features that are specific to your unit. Every manufactured Newton Crouch equipment has a serial number welded or bolted onto the frame of the unit. NCI has a copy of Delivery & Inspection Sheets by serial number dating back to the early 1980’s. When ordering parts or for technical assistance, please have your serial number or Delivery and Inspection Sheet on hand. This number allows our technical staff to look up the original configuration of your equipment and will help to ensure you get the correct parts since many items look similar but are, in fact, different. Call us at 1-800-241-1350 to speak with a real person—-no menus, no recorded messages. Newton Crouch Inc. is MADE IN AMERICA! There are 3 types of bedchain. To learn more details on how to tell what width and style you unit has, click here. There is only one style splice pin. However, there are different lengths. These are the 2 ends of a splice pin. Conveyor chain on a pull type or truck mounted spreader will need to be adjusted from time to time. It is adjusted by moving the front roller. Click here for a complete explanation of the adjustment process. Replacing your conveyor chain is sometimes necessary for the optimum performance of your spreader. First you must determine what type & length of chain required. Have your serial number ready when you call the NCI parts department. Click here for a step by step guide with photos and discussion. Bed chain is heavy, cumbersome and time consuming to install. Watch our shop guys give you all the tricks and tips on this process. If you have loaded your spreader, driven to the field and now your bedchain won’t turn on or has stopped working, you get frustrated fast. NCI techs suggest steps to fix this problem. 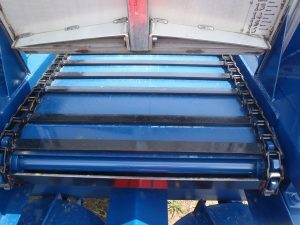 Fertilizer / Lime, Litter & Sludge spreaders have a chute. The chute helps to adjust the spread pattern. For a complete explanation of the spreader chute, click here. Your gate controls how much material falls from the hopper bed onto the spinner dishes. It is important that you have a correct setting to get the proper pounds per acre. If you have a ground drive pull type, your gear box turns your spinner dishes. The entire assembly is a series of 4 boxes total: 3 boxes in the 215 Assembly and 1 box in the 413 Assembly . This photo shows how the boxes are assembled together. Each box may be serviced. Many farmers use their dry spreaders to broadcast spread grains. In order to spread any grain with your spreader, you must know the pounds per cubic foot. 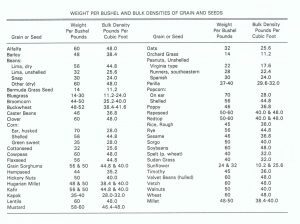 If you don’t know that, take the weight in pounds per bushel and multiply by .8 to get the pounds per cubic foot. This chart from the University of Georgia has some of the most commonly spread seeds. The HCAAT Spreader gives the farmer great versatility. He can have different row centers for different crops and need only on spreader. ALWAYS clean your unit after each use and before storage. Fertilizer left in the unit will cause corrosion and damage. A hitch allows you to attach your unit to a tractor or truck. Your vehicle and your unit will determine what type of hitch you need. 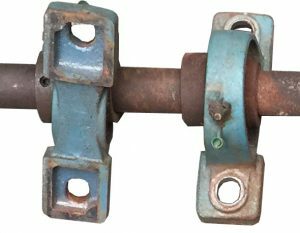 NCI offers 3 types of hitches for equipment: standard, clevis and spring. For a complete explanation of hitches, click here. If you have a spreader with hydraulics, maintaining and working on your hydraulics keeps you going. A series of photos, clearly labeled, on the 4 line manifold. tractor hydraulics controller rev 5.17.13 click here. If your truck spreader spinners suddenly slow or stop, you need to read this information. Hydraulic problem caused by oil tank filter click here. Hydraulic trouble shooting standard series single pump truck click here. To ensure you order the correct replacement pump for your hydraulic system, please click here. Click here for instruction on how to order litter chain and fax in order form. Click here for instruction on how to order a rear roller for a litter spreader and fax in order form. During shipping your spreader’s valves are closed. You must open them before using your spreader. Quality Equipment + Proper Use + Good Product = GREAT Results! If you have a NCI spreader and you’ve followed instructions, then a last step is to check your product. Fertilizer segregation is the unmixing (or segregation) of different components in a blend during transport or application. The primary cause is difference in particle sizes of separate components. If a larger size component is blended with a smaller size component, the larger particles roll to the outside edge of piles whenever the blend is poured to form a cone. The smaller component tends to remain in the center of the pile. This phenomenon, known as coning, causes the ratio of nutrients in a blend to vary from one location to another in a storage pile. This type of segregation also causes the grade of material spread from an applicator to vary during application. fertilizer in proper loose form Small particles in fertilizer in clumps blend that segregate to the center of the pile in an applicator hopper are broadcast first. Segregation is compounded by the ballistic action of fertilizer from spinners because small particles do not travel as far from spinners as do large particles. How can you prevent fertilizer segregation? Ask your supplier to let you inspect the blend. Materials should have a similar size. Generally speaking, the sizes of the materials should not differ by more than 10%. Coning can be reduced by making several storage piles instead of a single large pile. Keeping your material moisture free is also important. Moisture can cause clumps to form. When fertilizer is clumped it can cause streaking in your spread pattern. In the photo here you can clearly see streaks in the product as it drops onto the spinners. Click here to learn more about how to adjust the PTO on your NCI Spreader. Your PTO is set for a specific number of revolutions. This 2 minute video discusses the PTO on a Self Contained Hydraulic Pull Type Spreader.click here. Great info quickly! Facing the gear, first determine if the gear has straight or slanted edges. A slanted surface is a helical gear. A straight surface is a spur gear. Hold your hands up to the gear as shown in the diagram. The thumb on your left hand will point up following the slant on a Left Hand Helical Gear. The thumb on your right hand will point up following the slant on a Right Hand Helical Gear. The Rawson gear box has been replaced, but there are still many of them in service. This information if for those units that still have them. A quick video on adding oil to your Rawson gear box. click here. Short and to the point. The trick to removing your Rawson gear box. click here. Hint: There’s a hidden screw! Believe it or not, it’s not uncommon for folks to bring us equipment that was manufactured in the 1980’s or 1990’s. It is because they maintain and clean their equipment regularly! (We can’t stress enough how important that is!) We can still get you a part – maybe not the exact original- but your equipment will run like a champ when we finish with it. Your conveyor chain is moved over and by the rollers. The front roller is smooth for the chain to slide around. The rear roller has teeth that grip the bedchain (conveyor) and move it through the hopper. 16″ clinched pin chain or 16″ straight pin chain – Each of these have 3 possible roller choices. 24″ clinched pin chain or 24″ staight pin chain – Each of these have 2 possible roller choices. 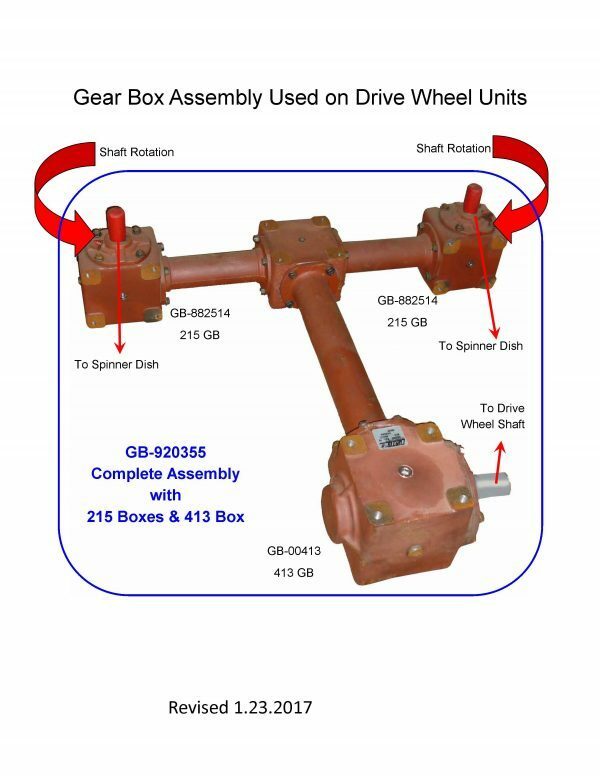 In addition to knowing your chain type, you must know if your unit has a Rawson Gear Box. You must know these facts to get the correct rear roller. The easiest way to get the correct roller is to have your serial number ready when you call the Parts Department. The front roller is much easier: it is either for a 16″ bedchain or a 24″ bedchain. It does not matter if the conveyor is clinched pin or straight pin. Click here for a detailed explanation on front & rear rollers. Remember, the NCI parts department keeps records by serial number. They will know exactly what you need to order. Rear Roller Replacement to see a detailed explanation of the process. Shrink wrap is a protective coating that is applied to connections of hoses, valves, controllers, etc. It is designed to protect your connections from fertizer, a caustic product. To keep your unit in top condition, it should be cleaned regularly. It is easy for fertilizer to get into the crevices at hose connections. Shrink wrap will prevent fertilizer, moisture, dirt, etc. from entering your connections. For a complete explanation, click here. NCI manufactures several grades of dishes & blades. Standard dishes & blades are used for fertilizer only application. For lime application, NCI recommends heavy duty dishes & blades. The standard dish & blade configuration is 10 gauge steel; heavy duty configuration is 7 gauge dish with quater plate blades. Both standard & heavy duty come in stainless and mild steel. We also make extended range – greater than a 60 foot swath – sets. Under 60 foot swath has 6 blades 6″ long. Over 60 feet swath has 4 blades 9″ long. While dishes are universal, blades are not. You cannot mix standard, heavy duty or extended range blades on your dishes! Your spread pattern depends upon several variables, but the correct type and installation of the spinner system is essential. For a complete guide to installation, please click here. We’ve added a video showing correct installation of blades & dishes. This video also shows a used spreader that was “having problems”. Wow! Did it ever! Someone installed the blades backwards and the new owner had a mess on his hands. Spinner motors move the spinner dishes. If you are rebuilding your spinner motor, you REALLY need to watch this video. Yes, it is lengthy, but Wayne has rebuilt hundreds of spinner motors and his instructions will make your job a lot easier. Why not watch and do it right the first time? How to Rebuild Your Spinner Motor using the NC-8080KIT. Hydraulics run your spinner motors. If not set properly, you can damage the motors.How to Prevent Spinner Motor Damage. Correct spinner speed is crucial to ensuring you get the most accurate spread pattern. Read a short 2 page explanation click here on testing spinner speed. Or watch How to Use Tachometer to Determine Spinner Speed for a video of the procedure. NCI has sold 3 version of our spinner speed monitors. Click here for a description on how to tell which monitor you have and for assistance. Watch 74 seconds of expert instruction on using flow control valves for manual spinner speed adjustment on a truck spreader click here. NCI suggest performing a spread pattern test on each new spreader as well as at the beginning of each growing season. NCI sells a test pattern kit MS-79022 that includes everything you will need. Performing a spread pattern test is not complicated but does take some planning and time. NCI has added 5 How To videos on spread pattern testing. Click here to view written instruction on using the kit. Click here to get a Test Pattern Worksheets. If you are not satisfied with your spread pattern, there are several ways to address your problem.How to Correct Your Spread Pattern for a complete written explanation. For a video: How to Correct Your Spread Pattern on YouTube. For a complete written description of the above information, please Rate Chart Guide for Pull Type Spreaders. In order to change from a half rate or third rate to a straight rate, you must change the sprocket chain. For a complete explanation of how to change the chain, click here This print out also explains how to replace a sprocket chain if you have ordered a new chain. If you want to see this procedure demonstrated in a video click here. Sprocket Ratios confuse even the most seasoned farmer. You must know what type of sprockets you have: Inboard or Outboard. And do you have just standard rate chains or do you have a half rate or third rate kit sprocket set? All these questions are answered in this new video: Understanding Your Sprocket Configuration. If you have a ground drive unit, you need to watch this video! Third Rate (36 tooth sprocket) and Half Rate (24 tooth sprocket) are most commonly found on spreaders with 24 inch conveyors. If you are unsure which sprocket ratio your spreader has, please refer to your Delivery & Inspection Sheet in the back of your manual or view Sprocket & Chain Configurations. The wildlife spreader Model 41 can be particularly confusing. Here is a photo labeled plus a diagram explaining everything. If you would prefer to hear the explanation and see a short video, see our YouTube video by clicking here. This video will take you through the spreader set up. We were making a food plot for deer hunting and used our personal spreader (a Model 41 Wildlife Spreader) to spread soybeans. Steve Crouch goes through several topics: Using the tachometer to verify spinner speed, Using the pressure relief valve, Measuring product density, and finally installing a Raven Cruizer to paint our field. How to Make a Food Plot for Deer. Will changing the tire size on my spreader affect my spread pattern? Yes! On a drive wheel unit, the ground wheel tire does not matter in the rate, only the drive wheel tire itself. A bigger tire on the drive wheel will reduce the RPM’s and therefore the rate.